Keith Stewart’s strange adventures usually occur near his Appalachian hometown of Hyden, Kentucky, although he can be just as easily found wandering the streets of nearby Lexington at any given moment. Before he shed his corporate identity, he worked as a certified public accountant for a multi-national company. He now enjoys less stressful work with much less pay, blogs at www.astrongmanscupoftea.com, and is as happy as a clam with his husband Andy, and their two dogs, Duke and Dudley. He has been nominated for the Pushcart Prize, and been published in several anthologies, Kudzu, and Pine Mountain Sand and Gravel. 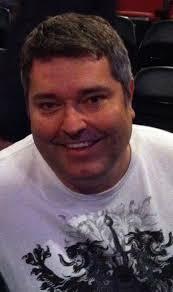 He is contributor for HumorOutcasts.com and the GoodMenProject.com. 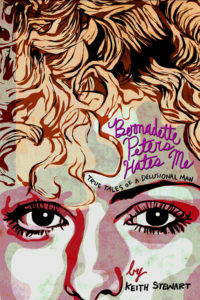 Check out this hilarious book Bernadette Peters Hates Me on Amazon! Mary Farr, a retired health care executive and pediatric hospital chaplain, has devoted thirty years to exploring the worlds of hope, healing and humor. 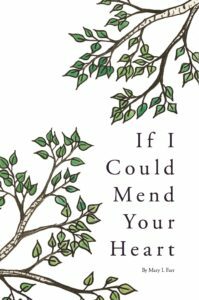 Today, she has merged these life essentials into her newest book, If I Could Mend Your Heart. If I Could Mend Your Heart, is all about life’s interruptions – the losses, the endings, the upheavals. It’s a little book with a big message about healing and how we show up and support one another in our troubles. Readers will find themselves on a small quiet walk filled with authentic words of inspiration, and loving kindness. The images speak of hospitality of the heart. It’s a perfect gift when no words can completely express our care and concern. A gift for a friend or one to keep on the nightstand, If I Could Mend Your Heart promises that sunrise truly does follow midnight. 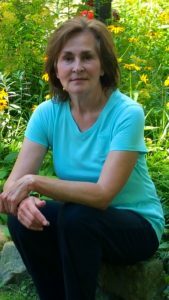 Mary has been featured in numerous publications and blogs such as: the St. Paul Pioneer Press, Minnetonka Magazine, ZestNow.com, TheDailyBasics.com, Humoroutcasts.com, and The Erma Bombeck Writers Workshop (Humorwriters.org). She has presented at women’s leadership groups, Befriender Ministry forums, Parish Nurse Association Minnesota, the Hazelden Foundation, Augsburg College Integrative Medicine Conference; United Hospital Grand Rounds, and numerous grief and loss seminars. A sought after international speaker, Mary is a graduate of the University of Wisconsin with a Bachelor of Arts Degree in English. She completed her divinity studies in the Episcopal Diocese of Eau Claire where she was ordained to the permanent diaconate in 1983. She received a Master of Arts degree in Theology from St. Catherine University in her hometown of Saint Paul, Minnesota.